Making Work/Life Balance Work in the Veterinary Profession - Does it Work? Feeling stressed? Overworked? Lost your mojo? Losing the romance? 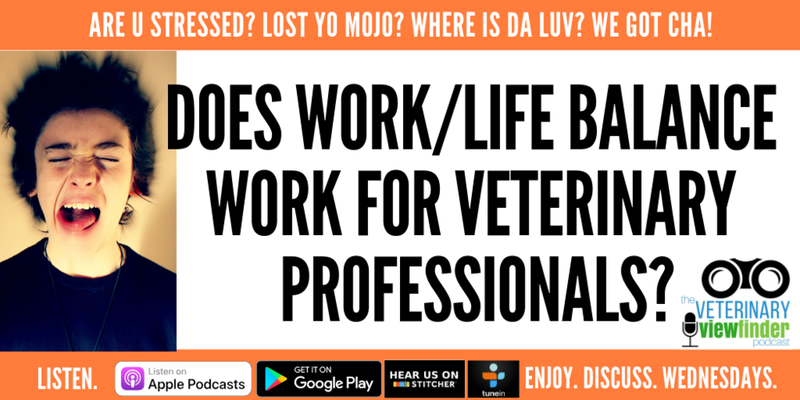 This week host veterinarians Ernie Ward and registered veterinary technician Beckie Mossor take a candid look at work/life balance in the veterinary profession. From real-life struggles and tribulations to practical tips and advice, this episode is packed will help restore your sanity and release you from "perfect" and into "for reals." PLEASE leave us a short review on iTunes! That's all we ask. It lets us know you like what we're doing and helps us reach other veterinary colleagues. THANK YOU FOR LISTENING! Newer PostVeterinary Cost versus Care Conversations - Are We Talking about Money Too Much or Too Little?